The mural painter from Liège, NOIR Artist will exhibit his work in Singapore from 8 August to 8 October 2017. A wonderful opportunity for the young Belgian artist, with Singapore confirming in recent years its reputation as the new playing ground for contemporary art. After opening a new exhibition space in Brussels, this summer the Mazel Galerie, where NOIR Artist is resident, is opening its own gallery in Singapore. The inauguration of this gallery, ideally located in the exciting city-state of Singapore, will be marked by a collective inaugural exhibition entitled "From Belgium with Love!". 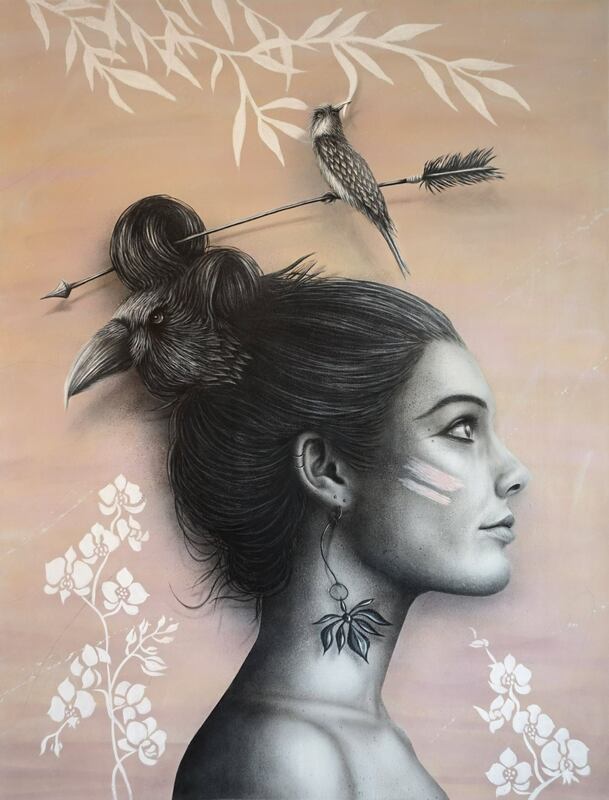 NOIR Artist (Lucien Gilson) will exhibit his new large-format canvases and his recent drawings there in the company of five other artists selected by the Mazel family. NOIR Artist became famous with his "David Bowie" fresco in Brussels and with his monumental fresco in the Parc de la Boverie in Liège. 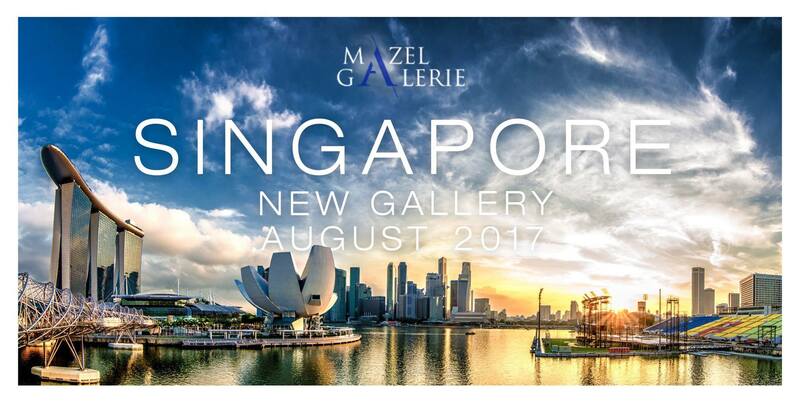 The Mazel Galerie Singapore will be located in the heart of Orchard, "the Champs Élysées of Singapore". Singapore now joins the agenda of global art world events. Described as the "little Switzerland of Asia", the city-state of Singapore is a thriving area as much in terms of its economy as its creativity. This former British trading outpost, now a global economic centre, is currently investing in a large range of cultural tools and events, including the Singapore Art Museum, the Singapore Biennial and an "art-week" during the Singapore Art Stage (a competitor of Hong Kong Basel). In terms of the art market, Singapore has also seen the construction of a contemporary art gallery district in Gillman Barracks. You just have to stroll around the city to see many other places dedicated to modern art. In the stylish Mountbatten district, for example, the Goodman Arts Centre is established in a superb 1960s building that brings together artists' workshops, galleries and creative spaces. NOIR Artist (Lucien Gilson) est un jeune artiste plasticien et peintre muraliste belge (Liège) formé à Saint-Luc Liège. À 28 ans, NOIR Artist réalise des toiles ainsi que des fresques murales sur à peu près tous les formats et supports. Mais toujours en nuances de NOIR. Peintures, dessins, fresques monumentales, art mural, trompe l’oeil, décoration et design urbain, ce travail « au noir » laisse peu de regards indifférents.